SAFE BOX, it is storage room for both – private persons and companys. SAFE BOX is the safest small size storages in Latvia. In cooperation with the leading specialists in this feeld in Westrn Europe – we have created the safest modern lighted sorage rooms right here in Riga, Vijciema street 1a (Teika region). SAFE BOX offers you more than 100 different storage rooms – sarting from 1 m3 up till 14 m2. Heated indoor as well as outdoor storages in the guarded area are available. Our priority Nr. 1 – is to keep our client’s proprty/belongings safe! Why to choose SAFE BOX? On the other hand – in the SAFE BOX territory, FN-SERVISS Ltd operates every day – they are fire equistingushing equipment servise prowiders as well as werehose of those. Each SAFE BOX client has an individual alarm (in Latvia this service is provided only by SAFE BOX). Well-lit parking lot. Latest video surveillance and fire alarm systems. Closed territory, perimeter is secured, electronically encoded gateways and burglar alarms, so that only customers and SAFE BOX personnell can access the area. Digital video surveillance cameras are installed in the main access points to the teritorry. 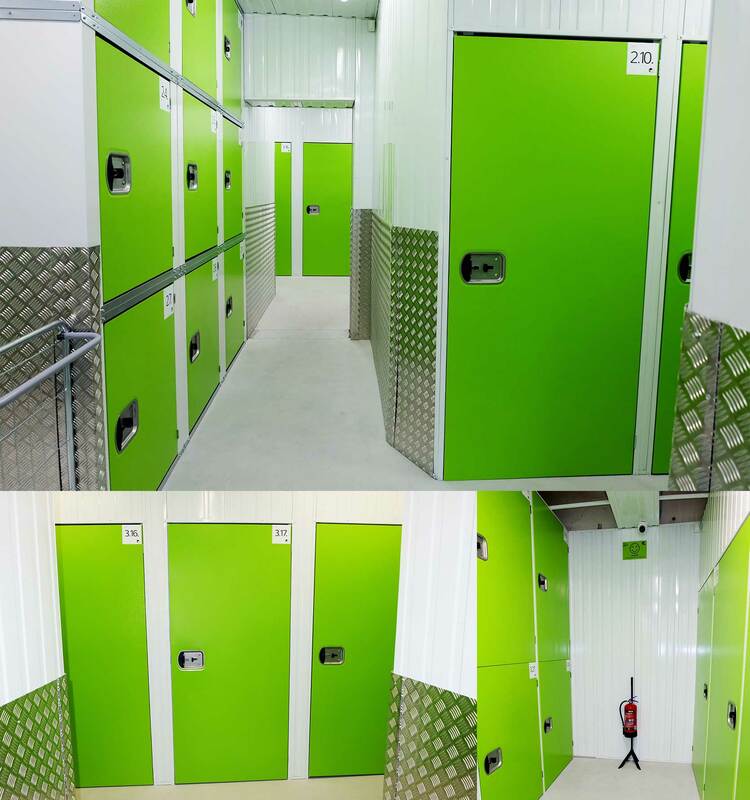 SAFE BOX storage rooms have been developed in cooperation with the best European suppliers, providing its customers with storage facilities of a realy high quality and durable materials, easy to use and attractive design as well. SAFE BOX is located in Riga near Riga’s main street – Brīvības street. It is easy to reach by the car. Nearby Ciekurkalns tram line, Train Station and other public transport stops. We easy adopt to our customer needs, allowing you to change the SAFE BOX storage from smaller to bigger and vice versa, free of charge. SAFE BOX rent includes security, utilities and management payments. SAFE BOX offers its customers a price warrany. If the client finds a cheaper offer of an equivalent warehouse, but would rather like to store their belongings in the SAFE BOX, then SAFE BOX will adjust its price to the customer’s offer. SAFE BOX personell is positive and wellcoming, always ready to help you – to find the most suitable solutions for storing your private or business staff. SAFE BOX emploees are understanding and do know our clients need’s to store their belongings in different situations of life (mooving to another residence, receiving inheritance, expansion of the office facilities, divorcing, etc.) To make the unloading, transportation and storage more convenient, SAFE BOX customers have access to storage trolleys and stable stairs.